A bucks day he’ll never forget. It’s almost your mate’s special day. He’s gonna tie the knot soon. And you’re the man who is meant to plan the best send off possible. 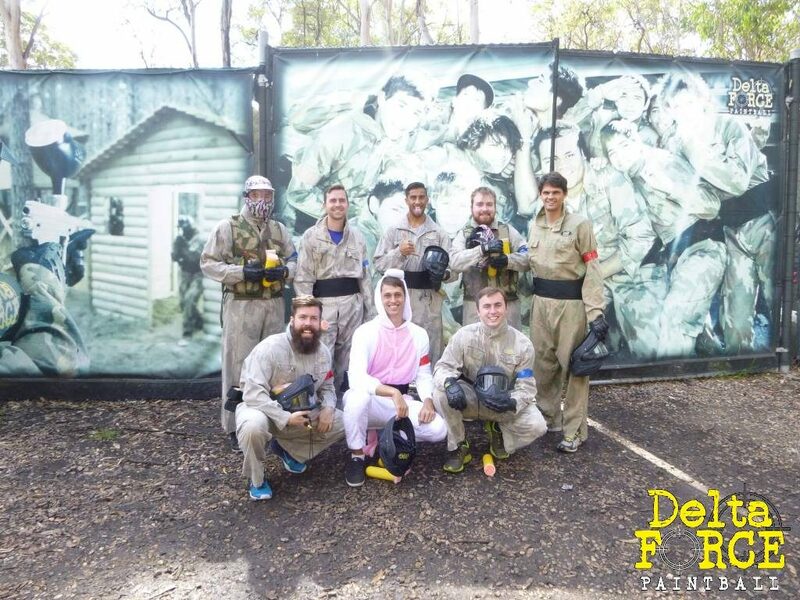 What better way to send your stag off than to dress him up and send him out with a paintball gun and a few of his best mates? 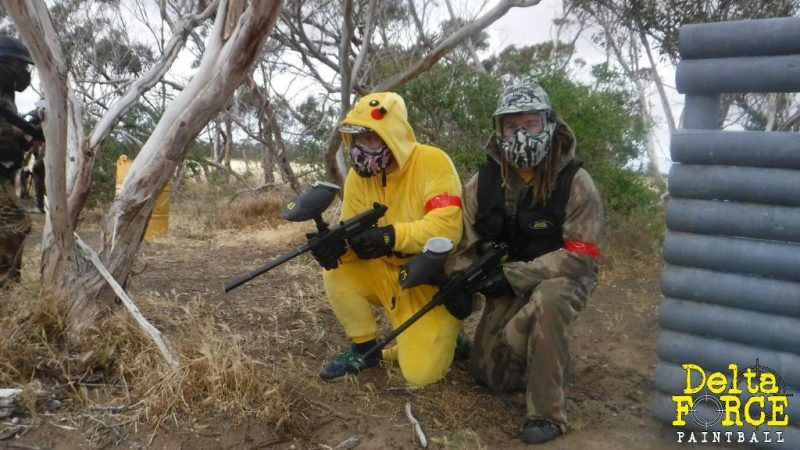 Paintball is the perfect activity to get the boys geared up for a night of dubious choices and some stories you’d rather forget. 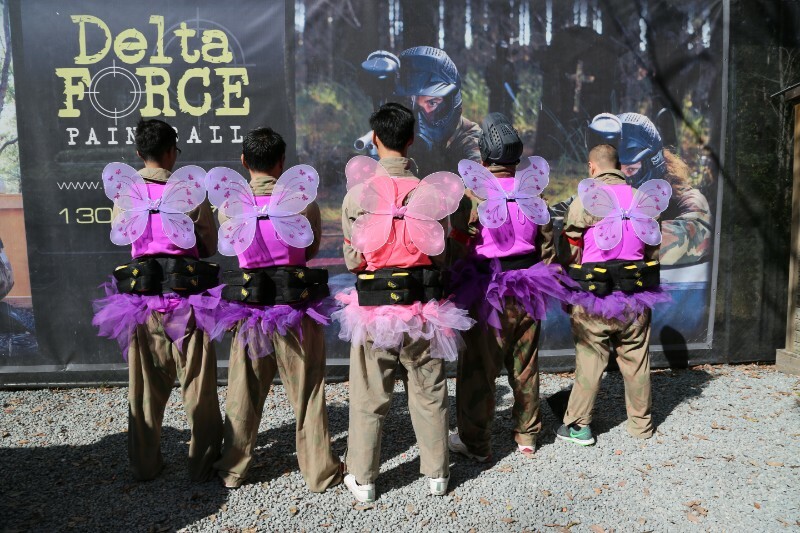 Here’s how a day at Delta Force Paintball looks for a bucks party. You can book by calling one of our event coordinators at any time of the day. They are available 24/7 and will help you plan everything to give your stag the best send off possible. On the day you’ll arrive and get kitted up by our marshals. Here’s the chance to get you stag all dressed up in one of our Onesies, or you could all wear your own costumes. We recommend you all buy a group pack (you don’t want to run out of paintballs when the stag is on the loose!). Don’t forget to let the marshals know who the guest of honour is; they’ll give him some special treatment! From here you’ll have a safety briefing, and then it’s time for battle! Of course you’ll have breaks in between games, where you can rehydrate (sorry, no alcohol), and refuel for the next match. You can order pizzas for the group for lunch, or bring your own food. We recommend bringing plenty of water; you don’t want the stag getting dehydrated! 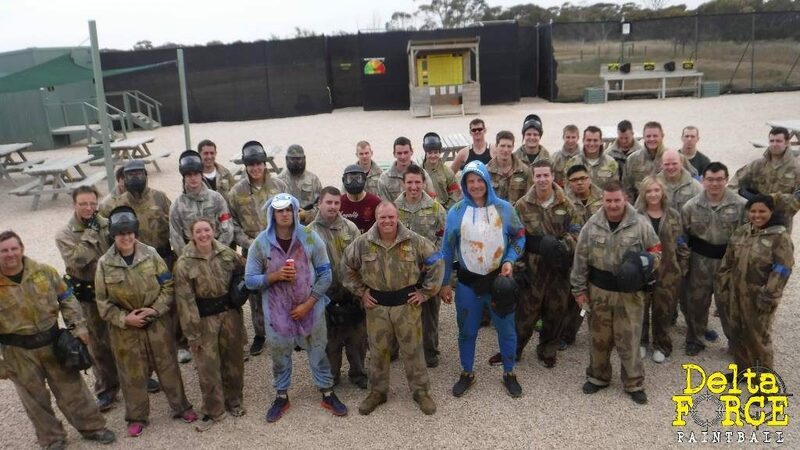 Your action packed day will see your squad battle it out in pyramids, black hawk helicopters and sniper towers, and will be a day the stag will never forget.